Its always exciting when there’s a new restaurant in town. Stecca opened just a few months ago, and is a lovely fine dining Italian restaurant in the heart of Chelsea. Whilst a Monday evening won’t necessarily be a night for celebrity spotting, it’s definitely buzzing with approving local Italians. Award winning chef Stefano Stecca is serving up authentic Italian cuisine inspired by his hometown Rimini in Emilia Romagna, without a pizza in sight. 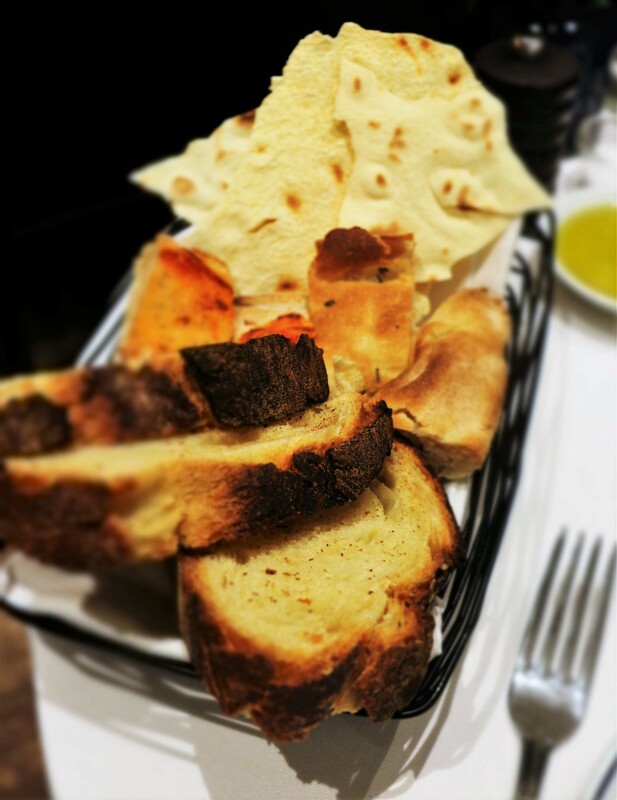 Service is friendly and attentive, with a generous basket of rustic basket of bread arriving promptly just as we sat down to savour over the menu. Aubergines are clearly best enjoyed doused in a tomato sauce and topped with layers of cheese as in the starter of Aubergine Parmigiana. 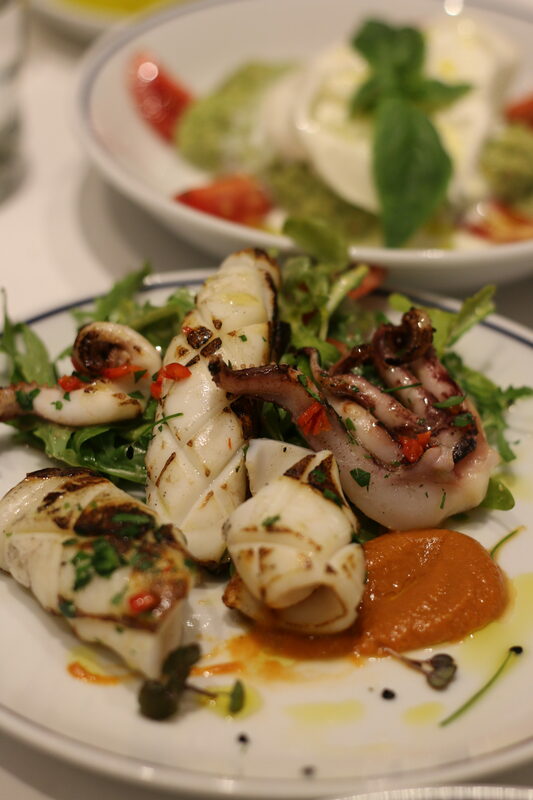 The grilled Calamari, served on a bed of rocket with sweet chilli was delightfully fresh and delicious. 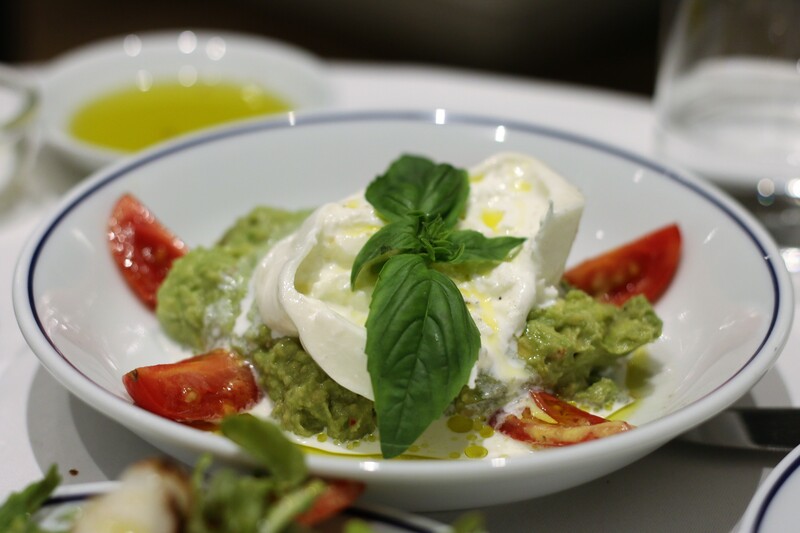 The creamy Burrata, topped avocado and Sicilian Tomato and was simple, yet perfect. 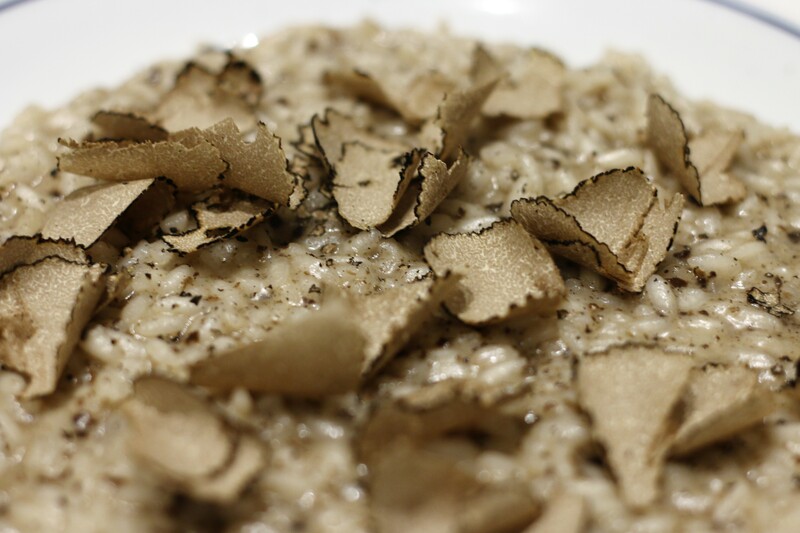 The Black Truffle Risotto main course was rich and creamy and aromatic with scattered shavings of truffle. 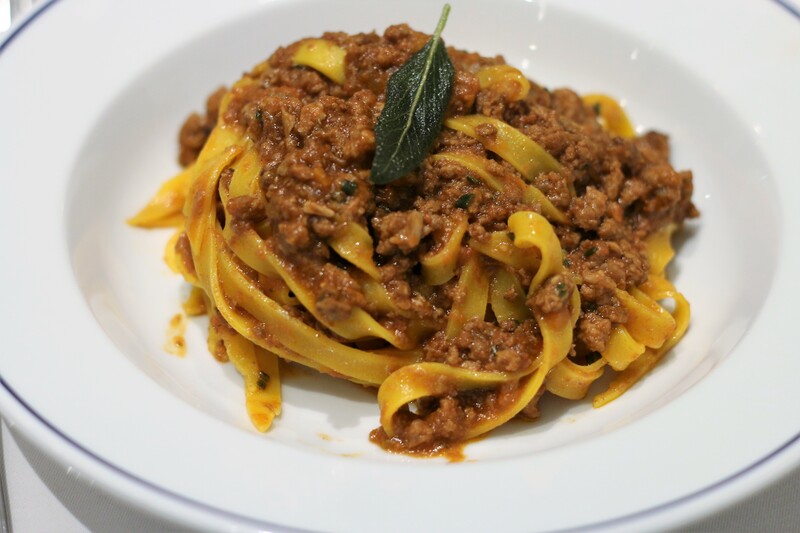 The classic Bolognese Ragu Tagliatelle was cooked to perfection, with handmade fresh egg pasta, with a rich meaty sauce. Spoilt for choice for dessert, the Crema Mascarpone and Sicilian Cannoli came highly recommended. The Crema Mascarpone is a silky, rich and creamy pudding that is so good. 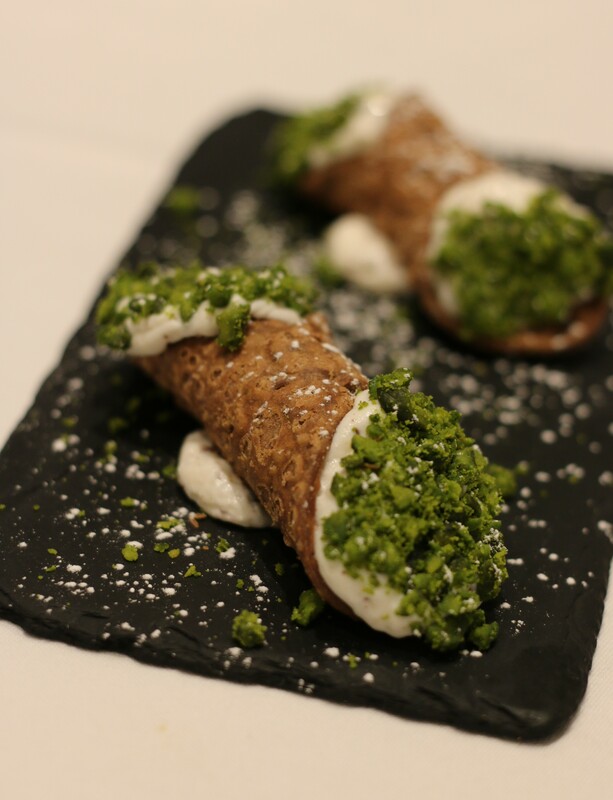 The Sicillian Cannolia are crisp, and bursting full of cream with a pistachio crumb. There’s no elegant way to eat them but they are absolutely divine. Stecca is perfect for a special occasion, be it a momentous birthday or anniversary. With a private dining area for up to thirty, it’s a great choice for a Christmas party. Stecca is ideal to host a quaint wedding reception in a trendy part of town. Stecca is a true gem that’s amazingly authentic, and we really can’t wait to go back. *Disclaimer: Concierge Angel were complementary guests of the restaurant, however all reviews are unbiased.